SilverTape® from AFTC USA, Inc. is a high performance, industrial strength tape that provides excellent long term holding power and is perfectly suited for both interior and exterior applications. SilverTape® offers superior high bond strength and can replace mechanical fasteners like rivets, screws, spot welds and liquid adhesives on a variety of substrates. 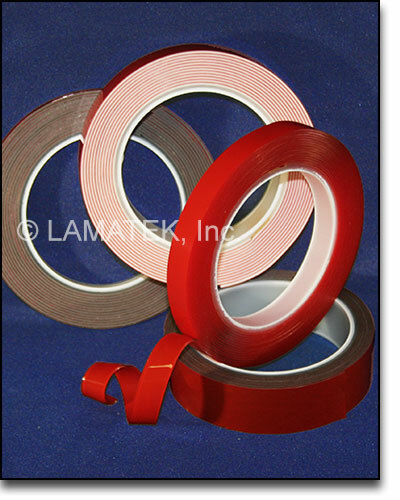 Viscoelastic, double-sided, foamed acrylic tape is the leading alternative to other high priced VHB™ tapes on the market. Adhesive mass construction makes high performance SilverTape® virtually indestructible against wind, water, high impact, shock and other environmental effects. High performance, double sided mounting tape is available in black, white, gray, and optically clear. LAMATEK supplies a wide variety of SilverTape® products for general use, low surface energy, cold weather application, removable, and more. Contact us to spec in your project and find the perfect high bond tape for your requirements.